Think about it’s TEDx you’re applying. Your idea has to be mind-blowing to get a chance to do a talk. It is? Produce a video of max. 60 seconds in which you describe who you are and what your idea worth spreading is. Don’t forget that you have only 60 seconds, so do it short and clear! If you use the upload form below, don’t wonder: You get directed to Youtube, login there and get redirected to our website. Then you can upload a new video or share an existing from your channel. That’s quite easy. Don’t fear. Just follow the instructions. 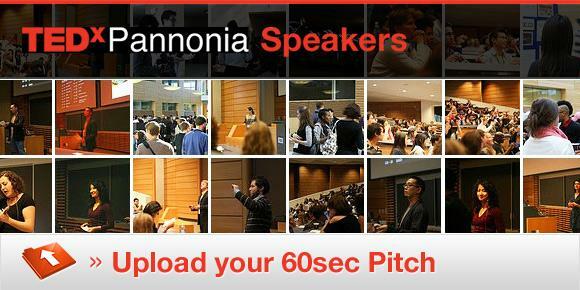 Our team will vote on the best ideas to be presented at TEDxPannonia 2012. Hopefully you are one of them. We are looking forward to your idea worth spreading!